Evolving from the ancient bronze and iron edged weapons of the Hittites and Celts the gladius became the blade that won the lands of the Roman Empire. Gladius is literally Latin for "sword" and was used by Roman Legionaries from the 3rd century BC. The common gladius was straight and double-edged, with a sharp V-shaped pointed tip and a rhomboid cross section - ideal for short, powerful thrusts. 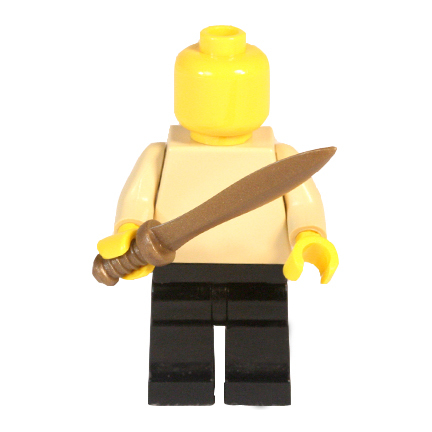 Fits most standard minifig hands.